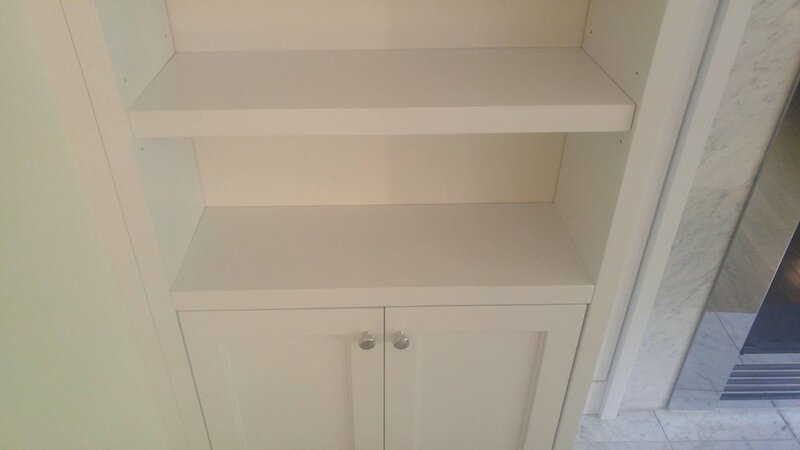 As a trained cabinet maker of 10 years experience, we are always looking for a new project to build. Need a built in bookcase, mantle, vanity, or even a kitchen? Please inquire. We would love to sit down and disucss your needs and create a design for you. Please visit and like our Facebook page to see our latest creations. The goal of this unit, as much as it was to create a built-in, was to also accommodate to items. The first part was that they needed it to work around the existing TV mount in the corner. So The right side was left as just a base. The left side was intended to have shelving, but had to be able to support a large, heavy collection of records. 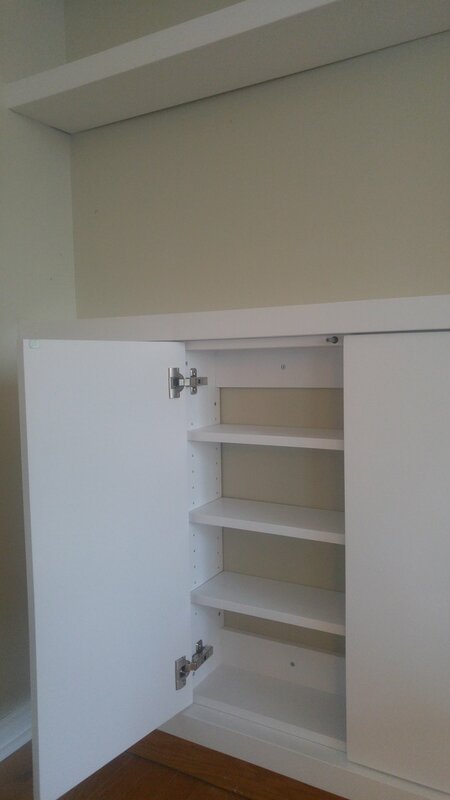 Shelving was made thick and with a solid core, with heavy duty shelf pins. The shelf pins sit in metal sleeves to help prevent wear on the cabinet sides. And for appearance, the pins slip into the shelves, as opposed to sitting on them. To break up the appearance, and create a nice accent, a thick solid pine counter top was added. The rest of the unit is painted MDF. Excuse the unfinished fireplace, that is still a renovation in progress. 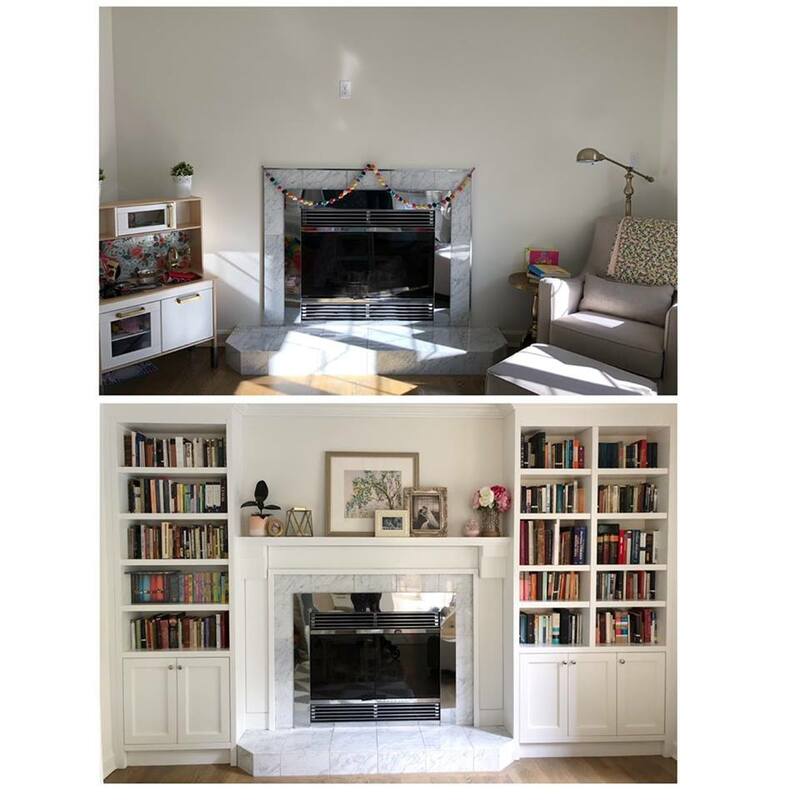 The client wanted to frame their fireplace, while also displaying their extensive book collection. It is painted to match the existing wall colour to achieve that built-in look. 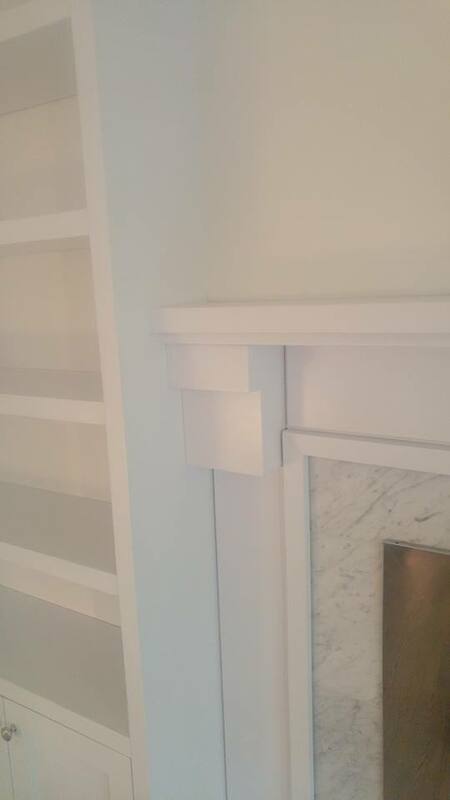 A requirement was to try and let the fireplace remain a highlight, so the mantle was designed to not overshadow it. 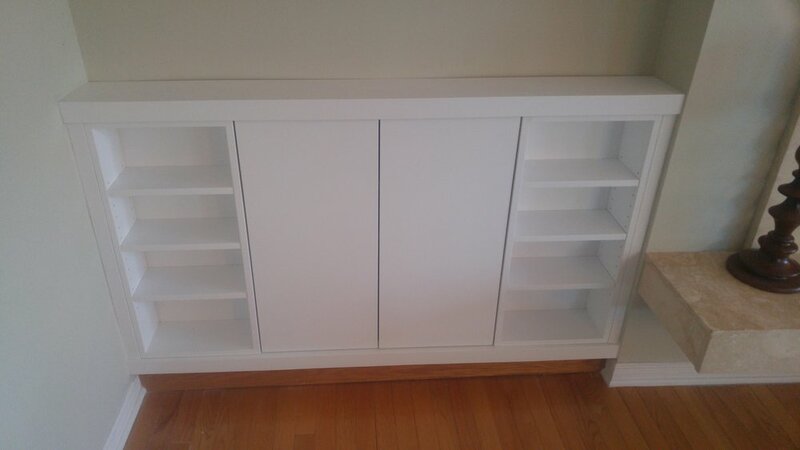 The unit is built mostly in MDF and painted. A simple looking job, but that was the intent. Floating shelves to give a clean modern look, with shallow cabinets to provide some storage. They were made shallow to suit the existing wall. By request the shelves were built in Baltic birch plywood. The doors use a touch latch to avoid having a knob or handle. 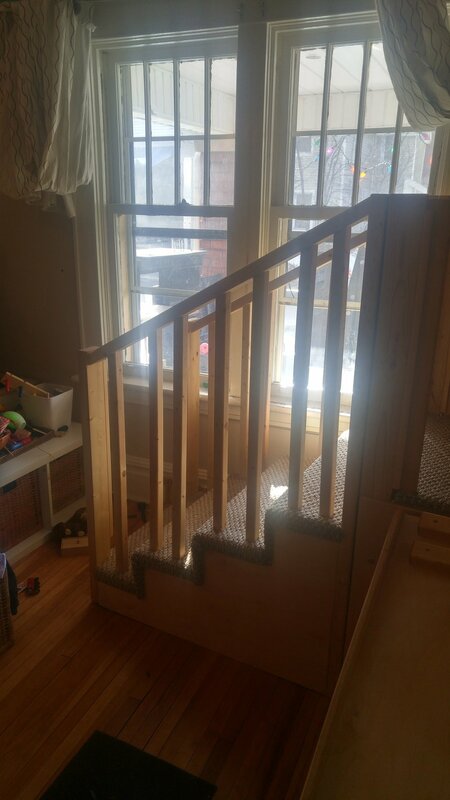 We were contacted to design and build a play gym for an in home daycare. The goal of the design was to have a structure that was modular, so that all the sections could be rearranged if the space was changed. Also in the future, additional sections could be added to give more variation in play. The slide can be flipped over to be a climber.